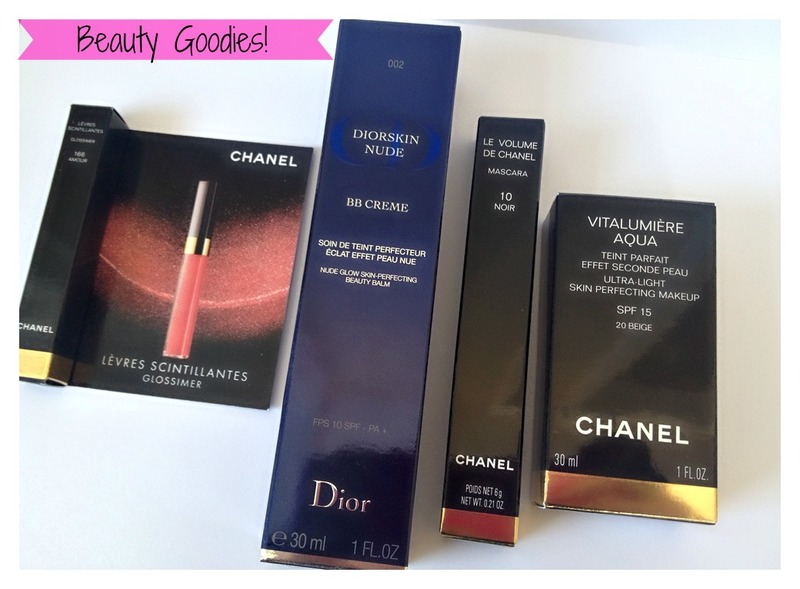 Beauty Goodies - Chanel & Dior ! So yesterday I went on a little shopping trip with my boyfriend Daniel as he had the day off. It was nice to have a little look around the shops and I ended up making a few cheeky purchases. I actually went to the Dior counter to check out the new Summer 2013 collection and I had the worst experience ever!! - The girl was so horrible and after I couldn't even bother to buy some of the products I had wanted and decided to just buy them online with my Debenhams beauty club card ;) - She asked me if I needed any help about three times in literally five minutes(so pushy), and I kept saying no... until I finally wanted to try something. She applied the lipstick and basically asked me was I going to buy it.. which I replied I'm not sure if the colour suits me, so i'm just going to have a little walk around with it on if that's okay ? - well obviously it wasn't as she huffed and puffed and walked off leaving me on the chair. I couldn't believe the look she gave me as well, but seriously I can't believe she would think I would spend that kind of money, when she had just been SO rude. Anyway, I decided to make my way over to the Chanel counter where the lady was so lovely. The Chanel collection isn't out yet, but I was actually invited to a special event which I'm really excited about attending. I ended up buying Chanel's brand new mascara, as well as a new Vitalumiere Aqua... as I have been having a few foundation nightmares recently. I think that this is around my 7th Vitalumiere Aqua now and I have been wearing it since it first came out, so I decided to go back to it after not using it for around a year now. I also got a beautiful lipgloss sample, which I was really please with (the colour is soo me haha). I will be doing a post when I get around to purchasing some products out of the 2013 collection, so keep an eye out for that beauties. Anyway, I hope you enjoy this post and if you have any questions please just leave them below or contact me via my social media icons. I didn't actually plan on buying this haha! but seeing as I love Chanel mascara's I knew that I had to give this one a go. The brush has a snowflake design which helps to ensure that your lashes wont clump upon application, but at the same time this mascara really gives you everything you need from a mascara... volume, definition and curl. I will be doing full reviews for all products mentioned in this post, so keep checking back if you are interested to hear more. WOW! I just realised I'm on my 7th Vitalumiere Aqua now haha - but after not using this foundation for around a year, I knew it was time to get it back into my life. I thought I had found my perfect foundation in Laura Mercier's Silk Creme, but sadly it broke me out. I decided to go back to this foundation, as I know how much I love and trust it. If you would like a review of this foundation then let me know lovelies and I will get one up asap! What a cute little sample! - I was so pleased when I got this home and opened it to realise it was a beautiful Pink/Peach shade which are always my favourite shades. It's a perfect summer shade and even though it's quite sheer it still does add a lovely tint to the lips. I also think it would be great for giving a Pink/Peach lipstick a little more oomph! - The glitter is very pretty and not at all gritty, which makes this Glossimer a real hit for me. I hope you enjoyed this post lovelies, I also brought some clothes when I went shopping so I will be posting about them soon. I will also be doing full reviews and swatches on all of the products mentioned. I would love to know your thoughts on these products ? 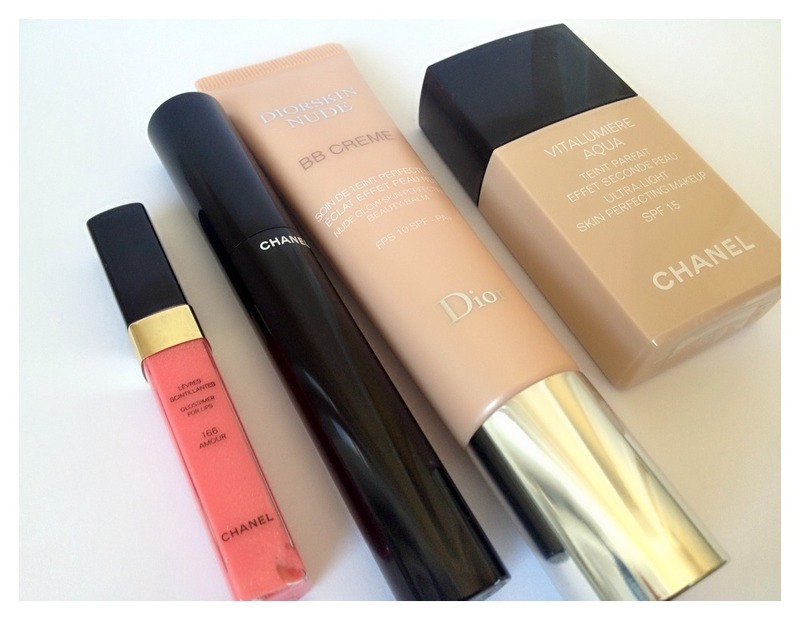 I really want to try that Chanel foundation! Can't believe the woman was so rude to you nothing worse! I've left Mac a few times when I've wanted to buy something because the staff just totally ignored me lolol! Hate rude staff! Benefit's MAY Blogger Of The Month! !